Village Walk is a shopping centre in central Onchan, Isle of Man. 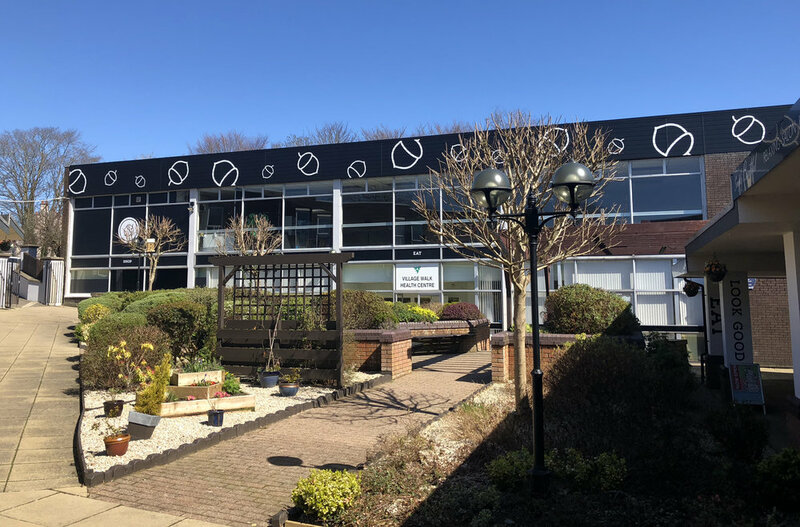 In operation since 1975, the centre was in need of a total brand makeover to establish itself not only as a an attractive option for new tenants, but also as a hub for the local community. I proposed a brand identity that made the most of the centre's history and "vintage" appearance, leaning on that authenticity and creating a flexible graphics system that focused on the many things visitors can do at Village Walk. Large scale keywords were placed around the centre, reinforcing common themes, and an acorn motif (a nod to the heritage of the centre and their first logo) gave dilapidated walls new life. The new brand completely revitalised the centre, which is now at full tenant capacity with 56 units occupied.